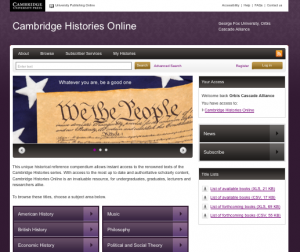 Cambridge Histories Online has been revamped to offer a more user-friendly interface and some new features. This entry was posted in Electronic books, History. Bookmark the permalink.